Tarrant County, Texas, has a greater incidence of metastatic breast cancer than most all other areas of the nation. That startling statistic can be attributed to the fact that our area includes the zip codes of some of the nation’s highest rates of health disparities. Health disparities primarily affect minority and low-income populations, and in the case of breast cancer involve access to care, cost of care, fear of pain and disfigurement, lack of transportation, and more. This means many do not seek screenings or early treatment, and when they do it is often late in the disease process. Susan G. Komen Greater Fort Worth is focused on raising awareness for metastatic breast cancer and will feature the topic in its third in a series of Komen Scholar events for health professionals, survivors, and the public. 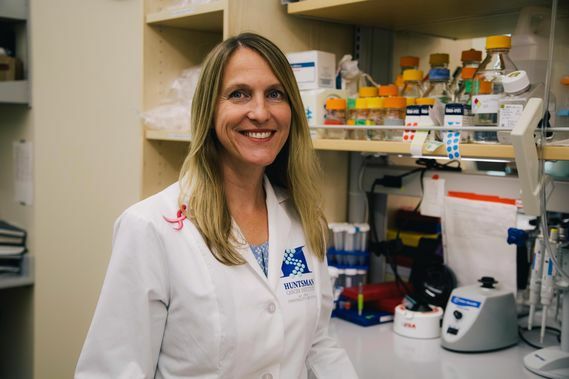 Alana Welm, Ph.D., Associate Professor Oncological Sciences, Huntsman Cancer Institute at the University of Utah, will speak on current MBC research, her lab’s work and the future of treatment. Dr. Welm completed her Ph.D. in Cell and Molecular Biology at Baylor College of Medicine in Houston and went on to conduct postdoctoral training in Nobel Laureate Dr. J. Michael Bishop’s laboratory at the University of California, San Francisco, where her work focused on developing new models of breast cancer metastasis. Dr. Welm started her laboratory at the University of Utah’s Huntsman Cancer Institute in 2007, and she was promoted to Associate Professor with tenure in 2013. Dr. Welm’s group discovered that the Ron kinase pathway is an important facilitator of breast cancer metastasis through its unique dual function in tumor cells and in resident macrophages. Her current research includes pre-clinical studies of various Ron inhibitors for treatment and prevention of MBC; pre-clinical and early clinical studies of the Ron/Met inhibitor BMS777607/ASLAN002 in bone metastatic cancers; discovering molecular mechanisms by which Ron kinases promote metastasis; and refining “precision medicine” for MBC. Welm will be speaking on November 8 to health professionals from 7:30 to 8:30 am, then to those living with metastatic breast cancer and the general public from 9 to 10:30 at the UNT Health Science Center. All are invited to attend. For more information, contact Komen Greater Fort Worth Executive Director Tracey Boyes, tboyes@komengreaterfw.org or 817-730-9679.